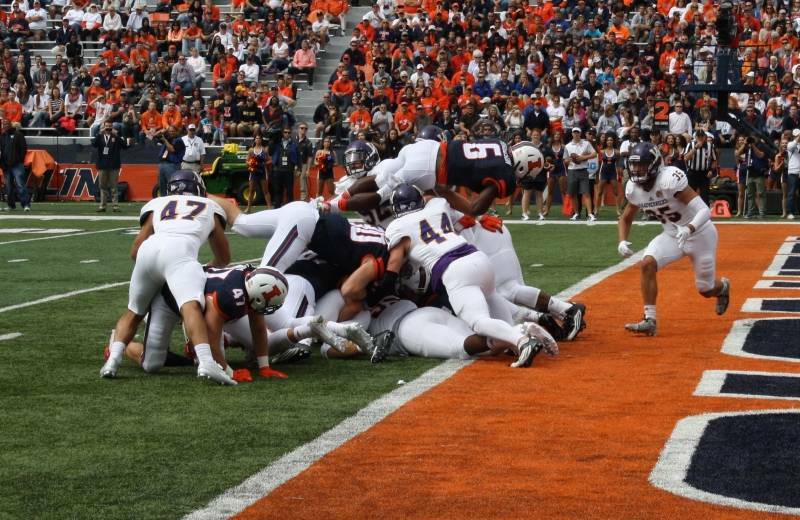 Sure, Illinois was supposed to win its first two games: Kent State and Western Illinois are not high-quality opponents. But even the harshest Illinois football skeptic has to be impressed by the manner in which the Illini have won their first two games. Most significantly, we have to start to consider that the Illini might be a good defensive team and (shudder) that Tim Banks is not an incompetent coordinator. 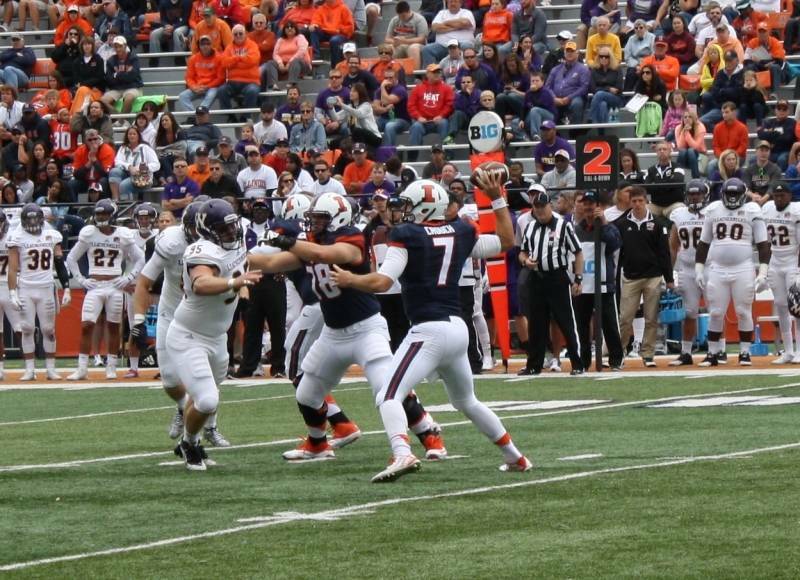 Western Illinois was held to just 43 yards passing and 102 yards rushing, which netted them only 5 first downs. Usual suspect, Mason Monheim, led the defense with 7 tackles, and tied with him was walk-on Clayton Fejedelem, which seems a lot like an ringing endorsement of Banks' ability to develop quality players. 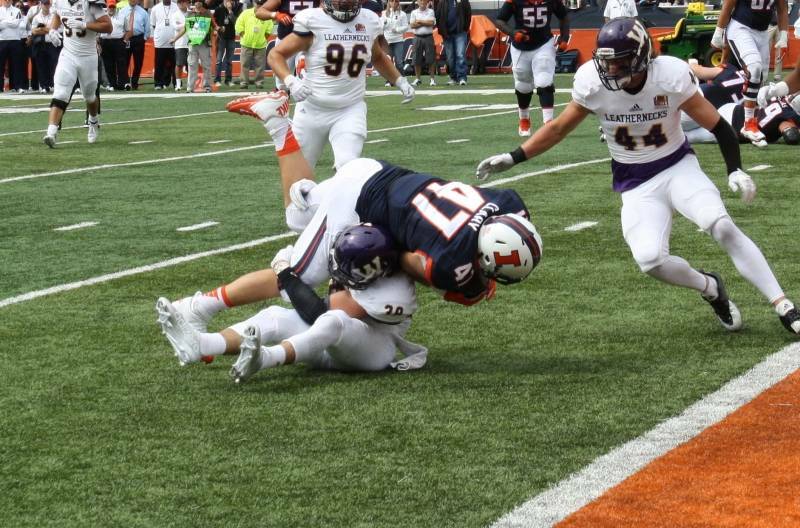 Though this requires a small sample size warning, after two games Illinois's defense is 4th nationally in yards per game allowed, tied for first in points allowed, 6th in tackles for loss, and 3rd in interceptions. Regardless the number of games, these are numbers Illinois can be proud of and they give hope that maybe the team is still on an upward trajectory. 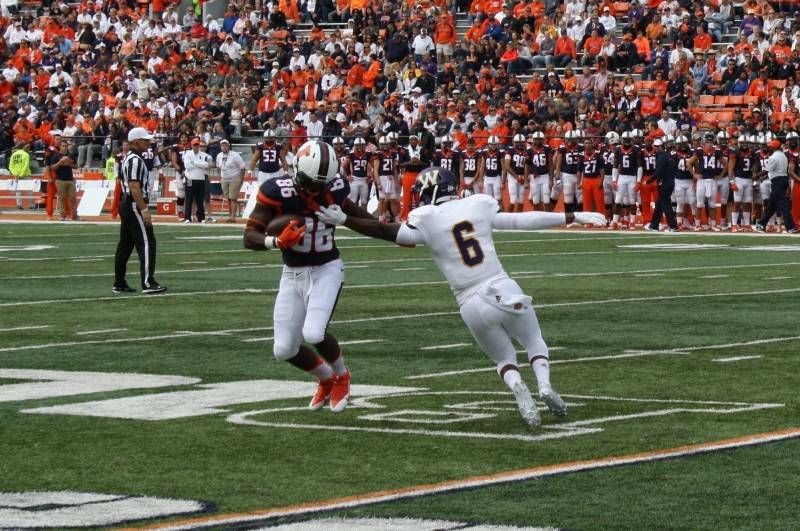 Illinois's offense was good on Saturday as well — at least half of it was. 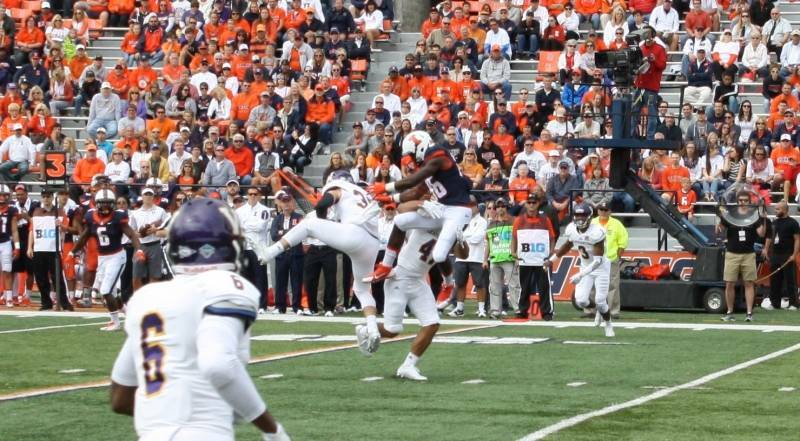 Through the air, the Illini looked as dangerous as any team. Wes Lunt had another solid game, passing for 316 yards and 1 touchdown. Geronimo Allison was also impressive, catching 8 balls for 124 yards. In the slot, sophomore Marchie Murdock seems to have taken over the role Mike Dudek vacated when he got injured. Murdock caught the one aerial touchdown and finished the game with 51 receiving yards. An area of concern, however, was the run game. 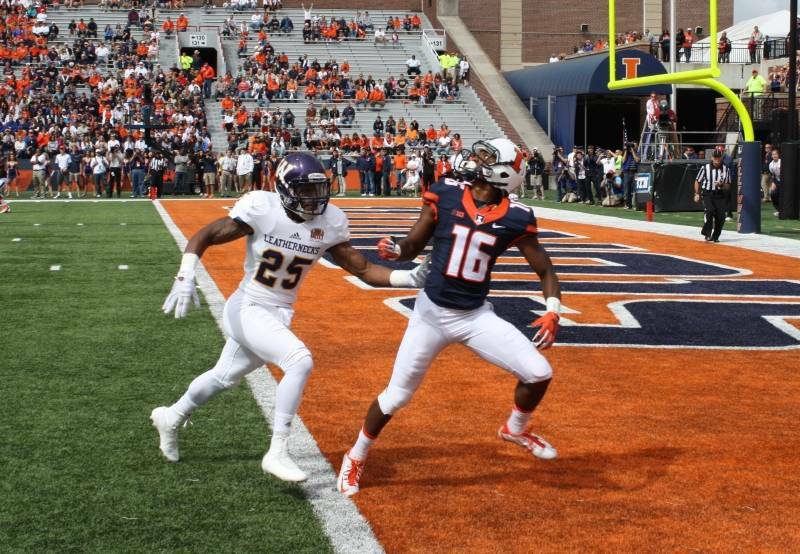 Against an FCS opponent, Illinois should have done better than 147 total rushing yards. Likewise, senior running back Josh Ferguson should have done better than 42 yards total and a long of just 10. Freshman KeShawn Vaughn took over the top spot among running backs with 53 yards, but even that is hard to really praise. 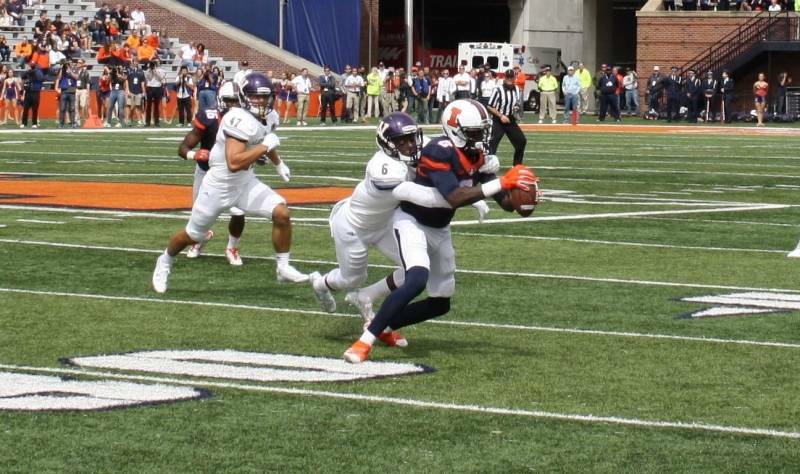 If Illinois's run game continues to be so toothless, better defenses will have little problem limiting the offense's productivity. Leman: At a booster event, "there just seemed to be a lighter air." Always was a sense of gloom under Beckman. Maybe, just maybe, those good vibes are here to stay. Photos courtesy of Travis McDade.